Camp Jubilee our Signature Project is “Off and Running” and now we need each member to raise their hand to help us get to the finish line. 1. Community Gala at the Cochrane RancheHouse, Sunday June 2nd at 5:00 pm. 2. Outhouse Races, Sunday August 25th at 1:00 pm. 3. 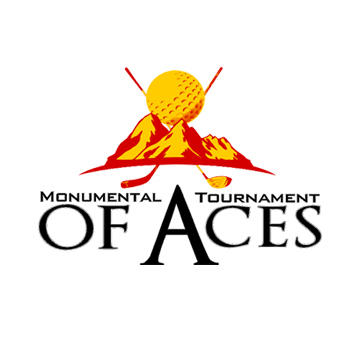 Monumental Tournament of Aces, Saturday October 5th at noon. Round I, we are now putting together the Gala sub-committee and we need a few to join the team of volunteers. We promise it will be fun with the leadership team for this sub-committee already in place. Once we complete the June 2nd Event, we will come back to the Club and seek volunteers for Round II, we already are working on our Outhouse, it will be fast! Round III, we will turn Lynn and Glen loose on the Club to take it over the finish line with our Monumental Tournament of Aces, supported by the best volunteers ever! Please let us know in the next day or so if you will join with us for Round I and serve of the organizing subcommittee for the Community Gala Event, June 2nd. The Morley Fresh Food Market will be running through the winter and volunteers are needed to help. Follow the link below to see the dates and volunteer opportunities. When Stoney Nakoda Elder Valentina Fox addressed a room of 50 people participating in a blanket ceremony at the Alliance Church last Thursday, she did so with strength, wisdom and a vulnerability that was truly humbling. She recounted horrible tales of abuse during her time at residential schools, how she was disenfranchised from her family, her people and her culture and how the trauma of those events led to social ills not only for herself but for her children as well. She also related the journey she and her family undertook to find their truth, forgiveness and eventual healing. Understandably, Fox has lived her life with a mistrust of non-Indigenous people but her recognition of the need to build bridges and foster understanding between her people and the rest of Canada brings her to these types of events to speak. It is that vulnerability that makes her so powerful. Despite being small in stature and soft spoken, she commands attention and her voice fills the room. The 11th annual Tournament of Aces took place up at the Links of Glen Eagles on Sept. 29 and it was one that celebrated a milestone for the tournament as well as a bit of change. “This was officially the change over year where the Rotary Club of Cochrane was handling the tournament with more mentoring from the Kimmett family with Kelly and Dianne being sort of involved in the background,” said chairman of the Rotary Club Glen Gryzko. 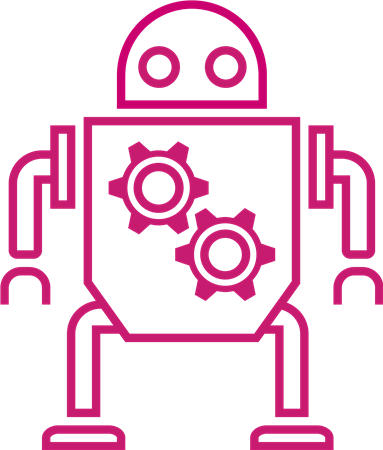 “We certainly needed their help when we got into the latter part of preparation for this and in the last month they were more than helpful. We have our partners in this from the Cochrane Search and Rescue, who were more beneficiaries in the past but they took on a bigger role and will do so in the future as well. 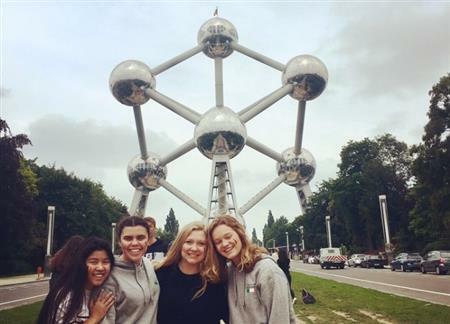 The tournament provides an opportunity for those involved to honour the memory of Lindsay Leigh Kimmett, who was killed in an automobile accident. Each year, funds are raised for several causes, and this year included the Variety Club of Calgary project to help redevelop the East End’s Centennial Park playground to make it fully accessible for all children to enjoy, legacy funding to the Lindsay Kimmett Memorial Foundation, while the remaining 25 per cent is split between Cochrane Search and Rescue and the Rotary Club of Cochrane for organizing the event, which will go toward community projects. The tournament, which had just over 170 golfers, raised nearly $80,000 over the course of the event, similiar to last year’s tally. Construction has wrapped up on Centennial Park, the new home of the town’s second and latest inclusive playground. The current playground is at the end of its life and lacks reduced mobility-friendly aspects. 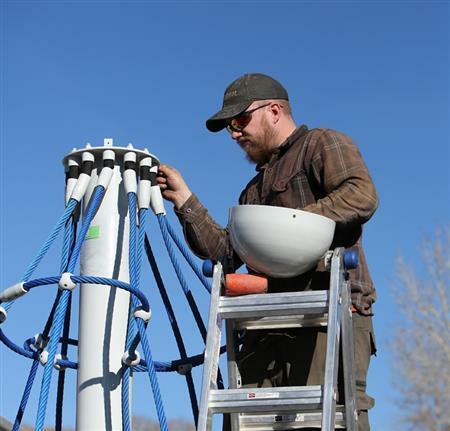 With the new equipment, children with disabilities will have more access to the park features including a climbing net with seats, two ground-level trampolines and low-rise musical equipment. The group behind the initiative, Variety, the Children’s Charity of Alberta, has raised over $350,000 from the community, including $40,500 from the Rotary Club and the Monumental Tournament of Aces. The Bow RiversEdge Campground Society (BRECS) is closing in on returning $1 million to the community from profits of their popular RV destination. 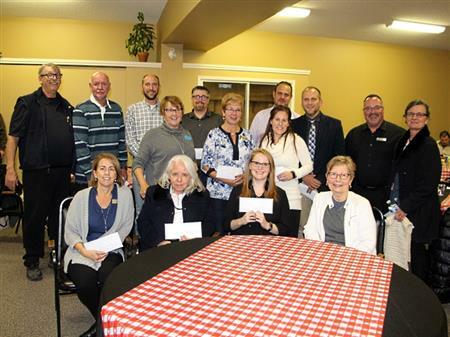 On Oct. 11, the model nonprofit organization presented a total of $50,000 in grants to 15 community groups gathered at the Cochrane Lions Events Centre. Current chair Bob Smid says over the years they have now returned $950,000 to the community. Armed with a fistful of cheques, Smid had each recipient stand and say a few words about their organization and how the funds would be utilized to support their causes. The show and tell was revealing. It displayed both the depth of worthy causes in the community and the important role BRECS plays in providing support. BRECS is a joint initiative of the Cochrane Rotary and Cochrane Lions Club. In 2004, the two service clubs joined forces to develop the RV campground in cooperation with Rocky View County and the Town of Cochrane. 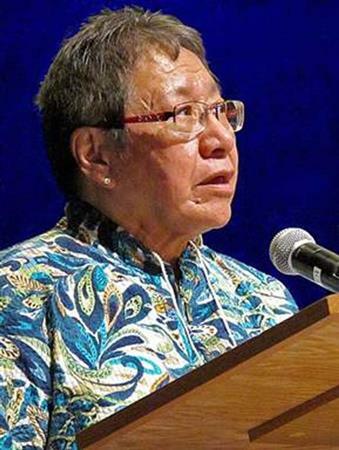 The chairmanship is rotated annually between the two clubs. The grace and ease that Tina Fox emulates as a community leader has long been noted and it’s landed her another notable award. Fox, a residential school survivor and active Stoney Nakoda Nation community member, was selected from six nominees as the recipient of the 2017 Rotary Club of Cochrane’s Integrity Award. Nothing about Fox’s life made maintaining personal integrity easy. However, she credits the injustices and turmoil she suffered as a driving force for her to find truth. Story by Amy Tucker/Cochrane Eagle. • by donating merchandise or cash to purchase items. The Rotary Club of Cochrane is proud to be involved in the annual Monumental Tournament of Aces, to be held in 2017 for the tenth time! The tournament, to be held at the Links of Glen Eagles in Cochrane on Saturday September 30, 2017 provides an opportunity to honor the memory of Lindsay Leigh Kimmett, who was lost in an automobile accident. The awarding of a Rotary Integrity Award is recognition by the Rotary Club of Cochrane of accomplishment and integrity in charitable works, business, the creative arts, or public service, locally, provincially, nationally or internationally. Winter can be a hard time of year to find family friendly activities that are affordable, easy to access, and out of the bitter cold. Skating is a great winter activity that can be enjoyed by the whole family, while at the same time improving motor skills and coordination, and getting exercise. The Crossing Canada Blog describes their stay in Cochrane and how much they enjoyed the Bow Rivers Edge Campground. The Lindsay Leigh Kimmett Memorial Foundation and the Rotary Club of Cochrane have joined forces to raise the funds to purchase an ultrasound machine for the Cochrane Urgent Care Centre. Story Originally Appeared in the Cochrane Eagle. Ending Polio - "this close"
The Cochrane Rotary Youth Talent Festival began approximately 15 years ago. Under the umbrella of the Rotary Club of Cochrane, the festival has been a vehicle for thousands of young people to gain performance skills and opportunities in a safe and supportive atmosphere. Starting soon at a location near you. For further information Rotary Leadership Institute. 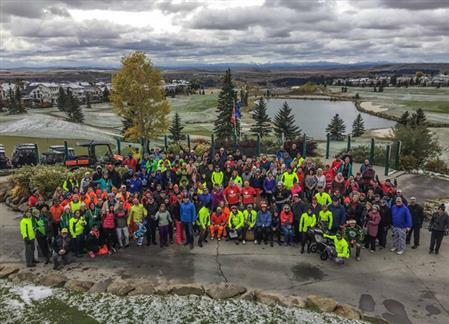 On behalf of the Glenbow Ranch Park Foundation and the Calgary and Area Rotary clubs we would thank the guests, participants and volunteers who joined us for the 2012 Rotary Music and Motion Fall Festival.